Center for Growing Talent (CGT) has announced the new theme for Women’s Fresh Perspectives events for 2019: I WILL! With this, CGT launches a new year of leadership development for women. Each year, the Center for Growing Talent’s (CGT) charitable contributions from industry professionals and organizations ensures their ability to provide premier talent development programs and solutions for the produce and floral industry, the organization said. While the conference is the keystone event of the year, CGT regularly brings together industry members with the aim to advance and celebrate the contributions of women to produce, floral, and beyond. 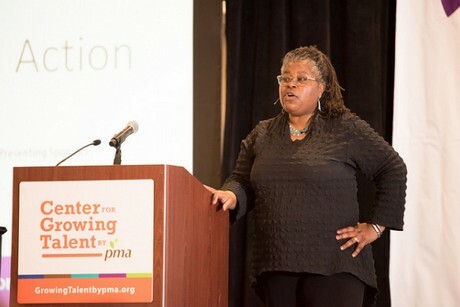 This includes a networking reception at Foodservice conference in July, the Women’s Catalyst Award, and the Women’s Fresh Perspectives Leadership Breakfast at PMA Fresh Summit every October. The I WILL! theme will extend throughout all programming in 2019. Rachel Hollis is a speaker, CCO of the Hollis Company, and NYT best-selling author. CGT shared that in her session, Hollis will speak about identifying, developing, and applying the skills it takes to stand out in your field. The annual Women’s Fresh Perspectives Conference (WFPC), is in its 7th year and, according to the organization, was the first of its kind offering professional and personal development for women across the entire supply chain at all professional levels. This year the event will be held April 14-16, 2019 in San Antonio, TX. Registration is now open.